Meanwhile plans were underway to start producing our own range of liquors. Our bottling plant started production by the end of 1997. Our first products to hit the shelves were Bravoska Vodka, Pacific Cane and Bentleys Gin. From three products we surpassed all expectations and our range now boasts more than 60 different brands. 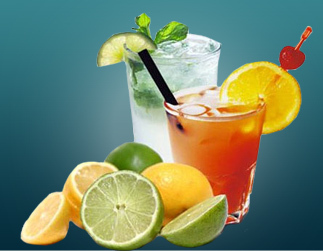 These include white spirits, dark spirits, liqueurs and aperitifs. Our next venture was contract bottling and we started doing small orders for independant labels. In 2006 we added two of South Africa's major liquor corporations to our clientele. We now do the bottling of all there housebrands and through this cemented our quality and credibility. This service is now being extended in various African countries. Recent developments include importing whisky from a fine and reputable source in Scotland. Mother City Wines also have affiliates in Mauritius, from where we import a vast number of products which include: rums, vodkas, whisky(produced in Scotland), liqueurs and tequila(produced in Mexico). We are always looking at ways to expand and develope our business opportunities. No challenge is too big or too small to handle. Should you have any interest in our products or services please do not hesitate to contact us. We look forward to hearing from you!